Not all of us have a knack with our green friends better known as plants. But with all relationships in our lives, it’s about finding compatible mates to share and enrich our days. And like the old adage “there’s someone for everyone”, believe it or not there are such things as hardy plants, the kind that are a little more forgiving of your forgetfully busy days and travel schedule. Like cats. So there’s hope. 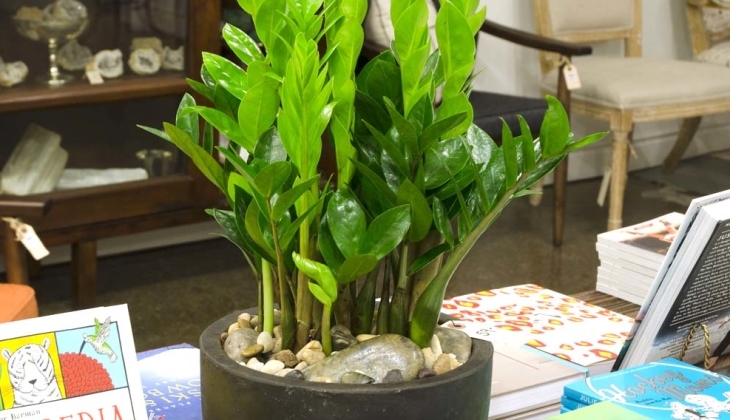 It’s time to open up and welcome in a little bit of greenery by way of tolerant forgiving friends like the ZZ plant, Snake Plant and Aglaonema. These are tough, low maintenance indoor plants that don’t require much light or water. In addition they don’t shed much, won’t scratch the sofa or bark at the neighbour. Best of all they are all very architectural in form, adding a nice stylishly tidy touch to any room. Come by to see what’s for adoption and we’ll assist you to find just the right pot to fit your style and room.